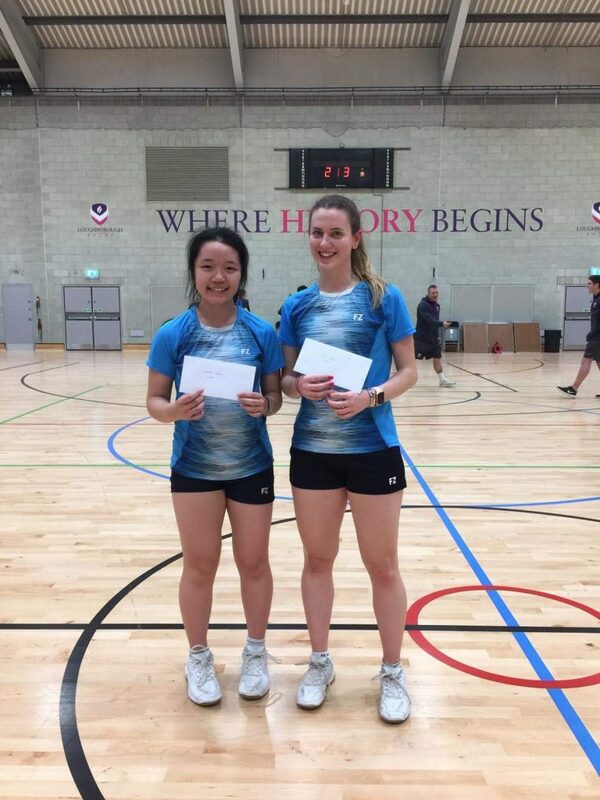 On 31st March, I competed in the Loughborough Bronze – Senior, which took place at Loughborough University. I played mixed doubles with Ewen Stephen from Warwickshire. We won our box and quarter finals quite comfortably, we faced the number 1 seeds and fellow Warwickshire pairing in the semi finals. Having lost the first set 14-21, we pulled through to win the match 24-22 21-17, earning a place in the final where we faced the second seeds. Unfortunately we lost the final in 3, 21-19 15-21 17-21, however we were pleased with our performance and had some good wins along the way. I also played in the women’s doubles with Phoebe Moore. We won both our box matches, and progressed to the semi final. We were down 11-4 in the semis however we somehow managed to win the set 21-18 and the second set 21-12. With timing issues during the whole tournament, we waited for around 2 hours to play our final, which had to be played as one game to 21, however we won 21-13. Even though it was a long day, I thoroughly enjoyed this tournament (and probably the last for this season), and the level of competitive play was high and to come away with a final and a tournament win was a bonus!